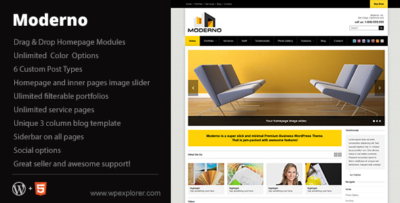 Moderno Corporate WordPress Theme for Business. Moderno is a slick and modern premium WordPress theme built for corporate websites. The theme comes with tons of really awesome features including post types for portfolios, services, testimonials, staff and slides and many more features.